In 2014, California state government began to take the Great Western Drought seriously. The state legislature passed bills to authorize the sale of over $7.0 billion in “water bonds”. That legislation aimed to add more long-term water storage, clean up polluted groundwater and regulate indiscriminate water mining. For the first time, California required local and regional water officials to manage their ever-shrinking supply of groundwater. Although the legislation may provide some relief a decade hence, we expect to see little relief from current water shortages. About eighty percent of the developed water supply in the state goes to the seemingly insatiable needs of California’s agribusiness. Even so, the governor recently asked all Californians to reduce water usage by at least twenty percent. During 2014, Northern California scored better on water saving than Southern California. Did necessity or indifference drive Southern Californians to use more water per capita than their northern neighbors? 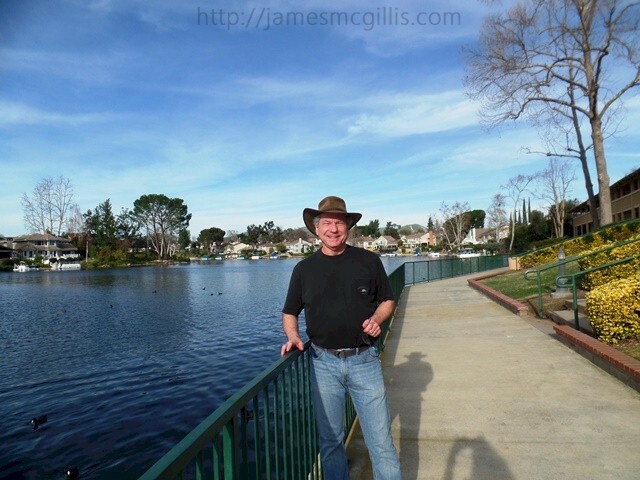 In Orange County, California, Lake Mission Viejo is a reservoir created solely for the private recreation of its members. With a surface area of 124 acres and an average depth of thirty feet, that “fake lake” comprises 3,720 acre-feet of water. According to water management standards in the U.S., a water supply of that size could support 3,720 suburban households for one year. 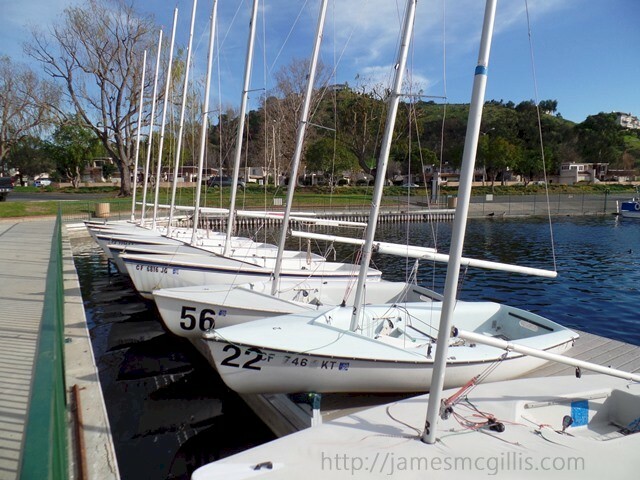 Rather than devoting lake water to the needs of all Californians, the association that owns Lake Mission Viejo dedicates the lake to the exclusive water sports and scenic enjoyment of its members. 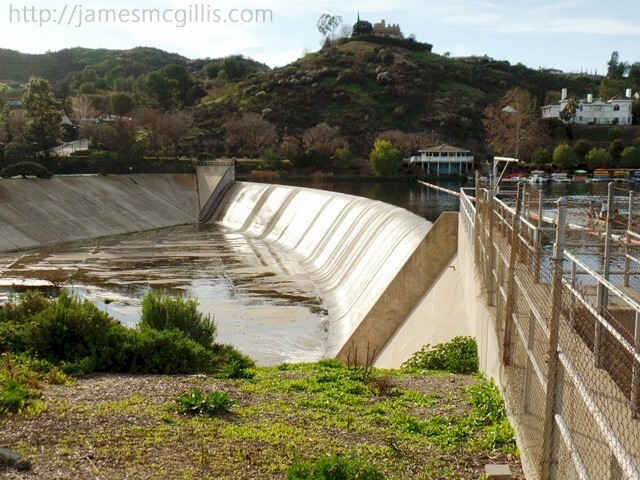 Although the Lake Mission Viejo Association is exploring ways to reduce water usage in and around the lake, currently they fill their lake with up to eighty-eight million gallons of drinking water each year. 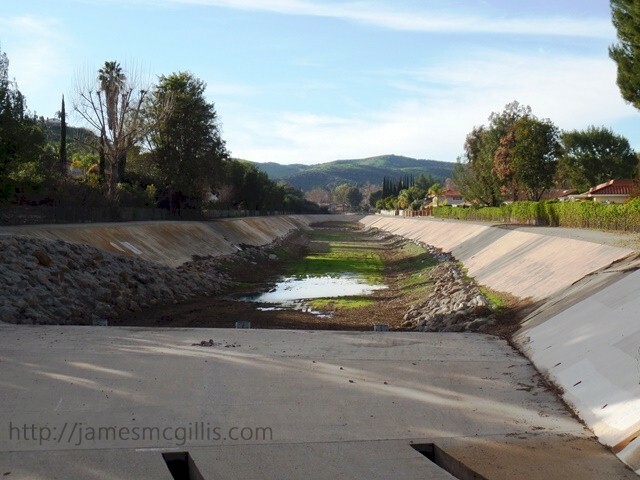 In the 1960s, during the creation of Westlake Village, California, developers dammed up Lower Triunfo Canyon, and then dubbed the seasonally dry arroyo "Westlake". 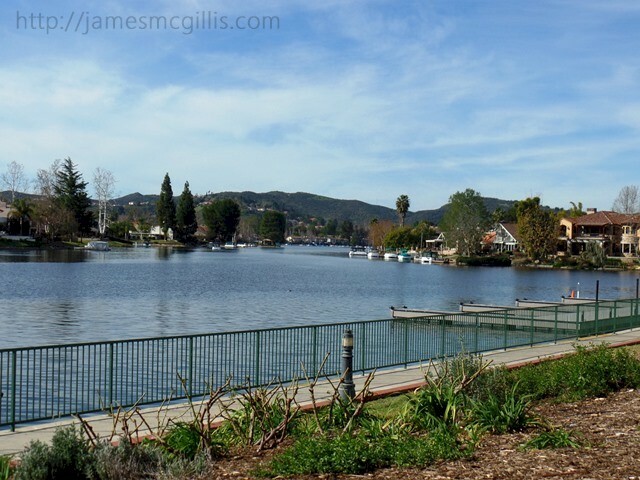 Upon completion of the planned community, the Westlake Lake Management Association (WMA) became responsible for dredging, maintaining and refilling the lake as necessary. As the ongoing water crisis in California intensified, WMA found that traditional groundwater sources for its own “fake lake” were dry. In order to keep Westlake full and its surrounding property values high, WMA recently tapped potable (culinary) water supplies. With summer evaporation rates of over 900 gallons per minute, seasonal inflow of potable water at the lake is equal to a two-outlet fire hydrant fed by a twelve-inch water main. Similar to Lake Mission Viejo, there is limited public access to the shoreline at Westlake. 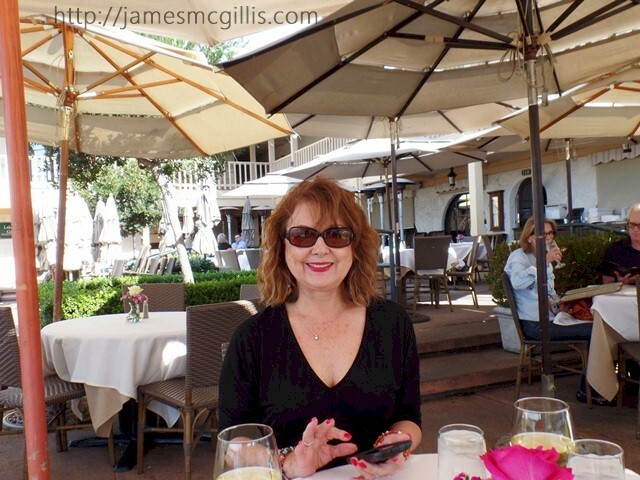 One can enjoy a sunny winter afternoon on the patio at Boccaccio’s Restaurant, and then stroll along a promenade adjacent to the lake. In keeping with the tranquil atmosphere of the place, all private watercrafts on Westlake are either electric boats or sailboats. From a residential perspective, Westlake is an idyllic setting. With the tightening of domestic water supplies throughout California, residents and visitors alike should enjoy the lake while they can. In the second half of the twentieth century, development of new “fake lakes” in the desert-like conditions of Southern California was still a viable business option. 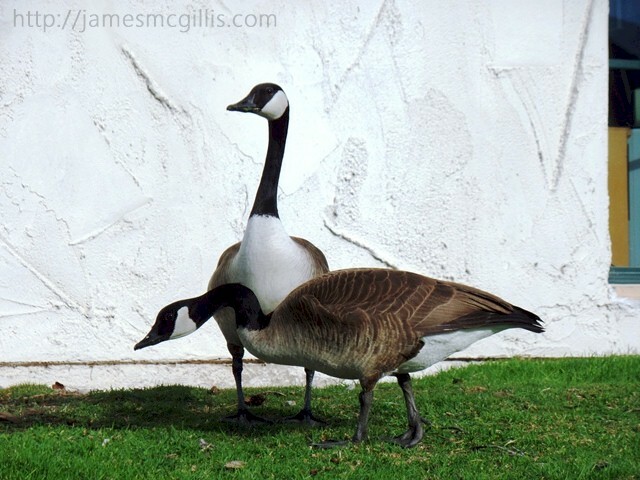 Lake Mission Viejo and Westlake are prominent examples of a Southern California trend that ended when developers finished filling Lake Mission Viejo with imported water in 1978. At both lakes, unscrupulous or ignorant developers sold aspiring Southern California homeowners “lakefront property” adjacent to potentially unsustainable bodies of water. In 2014, many water wells ran dry throughout Southern and Central California. Hardest hit were the poor and working class communities of the San Joaquin Valley. Ironically, irrigation districts in the same area consume almost half of the developed water supply in the state. In that area, farmers cherish their nut tree crops, which are notorious water wasters. There are credible estimates that it takes one gallon of irrigation water to create a single almond. With 944,000 acres of nut tree crops planted in Central California, just “a can a week” is all that the Almond Board of California TV ads ask us to consume. If their ads admitted that production of just one can of almonds requires several hundred gallons of water, how many of us would buy a can each week? Many San Joaquin Valley farm workers and their families bathe with buckets of cold water and rely on donated bottled water to survive. Meanwhile, residents of Westlake Village and Lake Mission Viejo, ply their exclusive lakes on electric boats, eating California almonds and drinking Perrier. It is a free country and if you have the money, you can buy the resources for your own pleasure. With luck and money, you can keep an unsustainable lifestyle going long enough to sell your fake lakefront property to the next true believer. If I owned lakefront property in either community, I would sell my property and move away while the lakes are full and the unsuspecting are still ready to purchase. After all, every bubble must someday burst.